Want to buy a classic modernist gas station? How about one designed and fabricated in 1969 by one of the pioneers of prefabrication, Jean Prouvé? The French auction house Leclere is auctioning off a two-story Prouvé “SUCY’ station on Wednesday, April 3, at 6:00 p.m., Paris time. The station is currently located outside Marseille, France, listed a “heritage” structure, but needs to be relocated. This should not be difficult (disassembly and restoration estimates on request) as it was made to be “demountable” and has a facade of 13 polyester and glass panels and galvanized sheet metal, all resting on a central drum with peripheral aluminum poles and neoprene joints. The website Metalobil has a fantastic image library of other renovated SUCY stations, including one turned into a windowed fashion catwalk for the designer Raf Simons. The station is one of 100 designed and built for Total gasoline brand in the 1960s. The auction house has put an estimate on the station of €100,000 to €150,000. Half a block south of Los Angeles’s ritzy Hancock Park neighborhood, a secret underground stream that draws its water from the mountains of Griffith Park runs across the backyards of several unassuming homes. 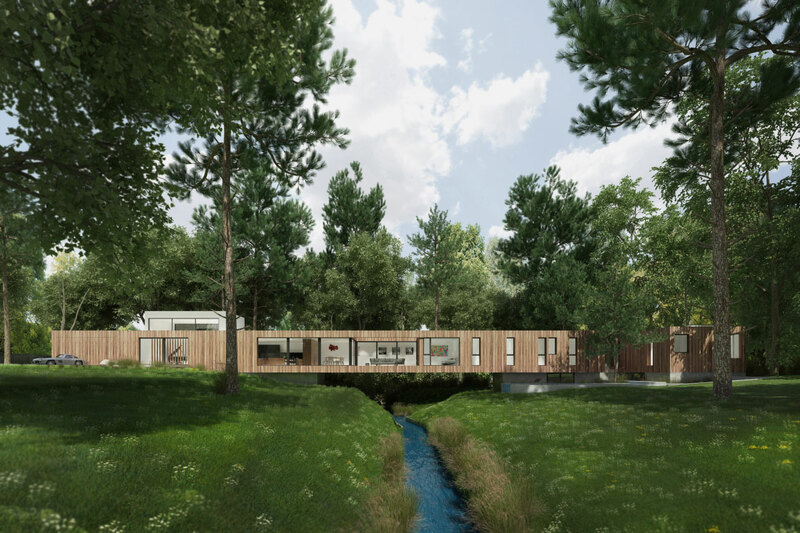 On a quizzical block where each house provides a corresponding bridge to span the stream, Los Angeles–based architect Dan Brunn is busy erecting a 200-foot-long house that doubles as its own bridge. 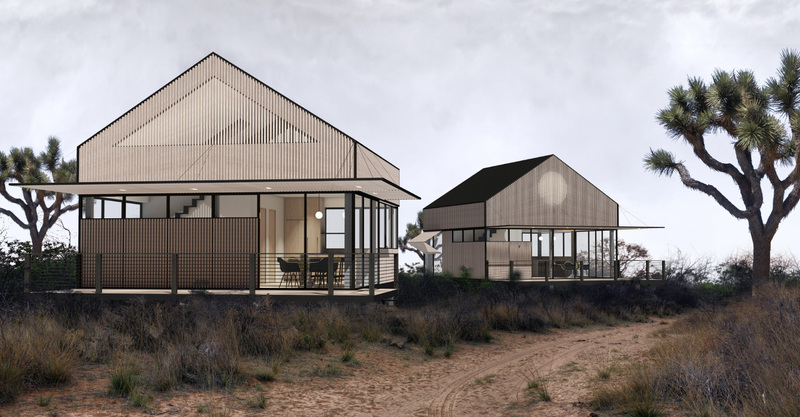 The 4,500-square-foot home is being built using the BONE Structure prefabricated steel construction system, a modular product developed by an eponymous manufacturer based out of Laval, Quebec, Canada. The all-steel system is fabricated entirely off-site and put together on-site, each element assigned an individualized bar code designating its placement. Brunn utilized a five-by-five-foot module “designed around experience, not transport or manufacture” to create the home. The three-bedroom, shotgun-style house is arranged with a carport facing the street. From there, a living room, kitchen, and courtyard extend into the site, followed by a bathroom sandwiched between two smaller bedrooms. A master suite caps the back end of the home, concealing an office space located below that is accessible to the banks of the stream. Brunn said, “The precision of the BONE Structure system is so evident and clear, it’s like seeing the inside of a Swiss watch.” The home is currently under construction and is expected to be complete late 2018. Some of the most fruitful innovation in the AEC industry right now lies in the realm of factory-built buildings. Whether they include experiments with prefabrication, mass-timber construction, or modular components, architects are increasingly working with building assemblies that are fabricated off-site and under controlled conditions. And while some designers work in these modes on a one-off basis, a new crop of technology-focused, end-to-end construction service firms have sprung up that can take a project from idea to finished building all on their own, including construction and fabrication. 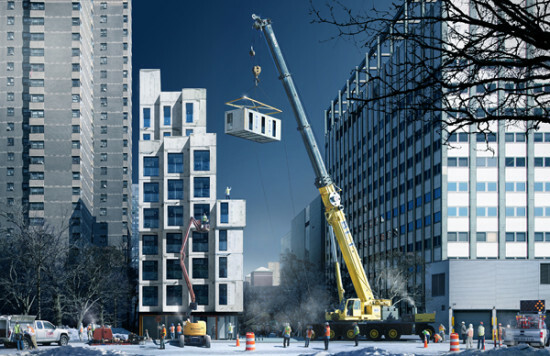 Established in 2015, Katerra is one of the firms that are shifting how buildings get designed and built in the United States by pioneering a hybrid business model that combines prefabrication with mass-customization. 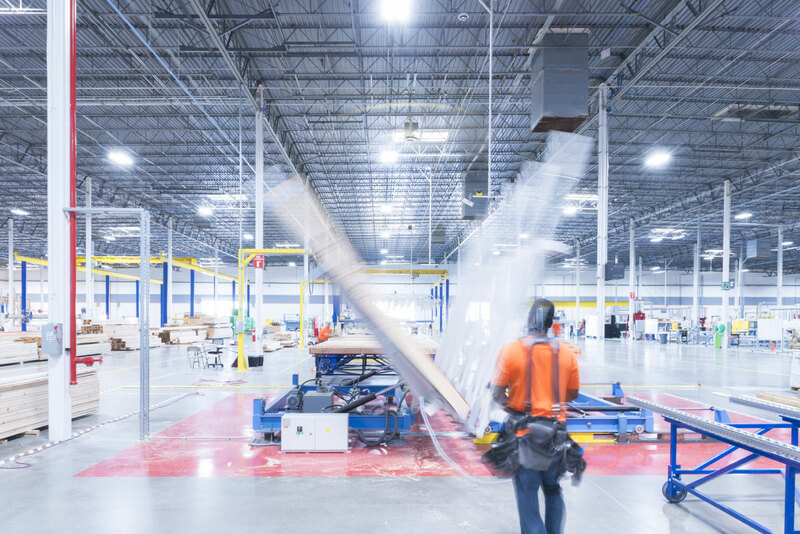 The Menlo Park, California–based company is a relative newcomer in the field, but with over $1.3 billion in projects and an expanding nationwide presence, Katerra is poised to make factory construction a thing for the future. AN’s West editor Antonio Pacheco spoke to Craig Curtis, president of Katerra Architecture, to discuss its business model, examine how the company integrates technology into its workflow, and delve into the firm’s new project types. 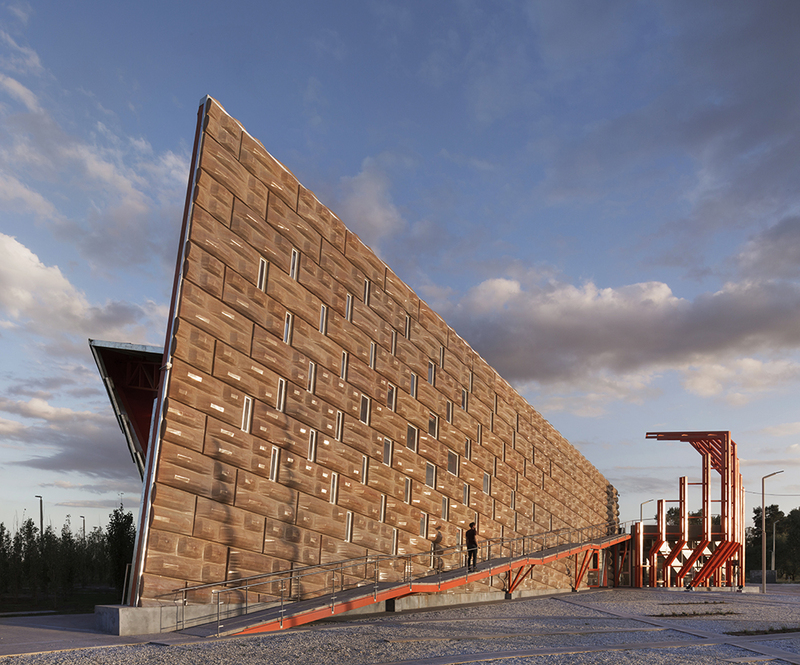 The Architect’s Newspaper: Can you tell us what Katerra does? Craig Curtis: Katerra is an end-to-end construction and technology service company that applies systemic approaches to remove unnecessary time and costs from building design and construction. Our services include architecture and engineering, interior design, materials supply, construction management and general contracting, and renovation. What are some of Katerra’s short- and long-term goals? Since the company’s founding three years ago, Katerra has accomplished a significant amount: We have more than $1.3 billion in bookings for new construction spanning the multifamily, student and senior housing, hospitality, and commercial office sectors. [During this time] our global team has grown to more than 1,400 employees and we also opened a manufacturing facility in Phoenix and started construction on a mass timber factory in Spokane, Washington. Going forward, we are focused on delivering the projects in our pipeline, bringing our Spokane factory online in early 2019, and continuing to build out additional domestic factories like the one in Phoenix, where we fabricate building components. We will also continue to expand and improve Katerra’s technology platform, which underpins our vertically integrated model. What does it mean to use a “systems approach” with regard to building design and project delivery? Katerra’s model uses technology and end-to-end control throughout all levels of design, development, and construction. By moving from individual project thinking to a systems approach, we deliver greater precision, higher productivity, and improved quality control. With design, we combine product standardization with customization. This provides the efficiency of manufacturing without sacrificing design freedom. Through our global supply chain of curated, high-quality products, we eliminate middlemen, passing savings directly to our clients. We also integrate Building Information Modeling (BIM) tools and computational design with our global supply chain infrastructure. So, plans go directly from design to the factory floor and to the construction site. Materials and products arrive at our construction sites on time and ready to install. 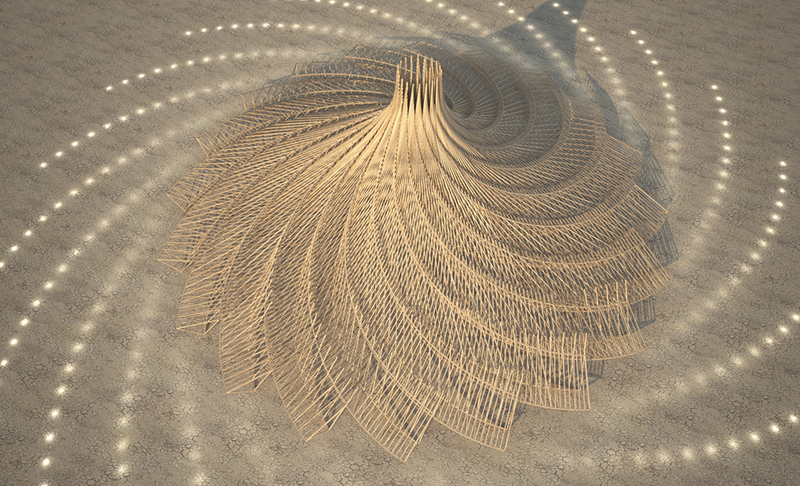 As a result, the activity at a Katerra construction site more closely resembles a process of precision-sequenced product assembly than traditional construction. Speaking generally, how much time does Katerra’s business model shave off a project timeline compared to traditional project delivery? In 2018, we are beginning construction on the first series of fully optimized buildings designed by Katerra. This particular building type is a three-story suburban product for workforce housing. We anticipate being able to achieve up to a 40 percent reduction in project schedule for these projects, providing significant benefits to our customers. As we develop similar tools for other market sectors, we anticipate significant schedule reductions, with the percentage dependent on the complexity of the building type. What are some of the innovative technologies Katerra employs from a design, fabrication, or construction point of view? A great example is our use of Radio-Frequency Identification (RFID). We add RFID tags to all the components fabricated in our manufacturing factory. These tags are accessible from mobile devices either on the production floor or in the final assembled product at the job site. Each RFID is linked to an archived file showing the entire assembly of the selected component, including video of each step in the manufacturing process. With this RFID technology, enclosed wall panels can be delivered to the job site, allowing local building inspectors and third-party verifiers to perform virtual framing and air sealing inspections. Application of RFID is just one of many ways Katerra is using technology to drive down costs, improve quality, and deliver a superior customer experience. In the midst of World War II, three new cities sprung up across the United States, built from scratch by the U.S. Army Corps of Engineers. Between 1942 and 1945, Oak Ridge, Tennessee; Los Alamos, New Mexico; and Hanford, Washington would become home to more than 125,000 people, but, officially, none of these places even existed. In fact, everything that happened inside the three "secret cities" was strictly confidential—even their locations, which were completely off the map. Now, some 75 years later, the National Building Museum is digging through the archives to present a declassified picture of the three cities at the core of the Manhattan Project, the research and development mission behind the first atomic bomb, with the exhibition "Secret Cities: The Architecture and Planning of the Manhattan Project," which opens from May 3. The show examines the exceptional design thinking required to build three clandestine cities at the height of the war, but these were not simple military encampments. Coinciding with the early moments of modernism, the hidden cities were a laboratory for the most cutting-edge explorations of town planning, engineering, and efficiency of mass and scale. 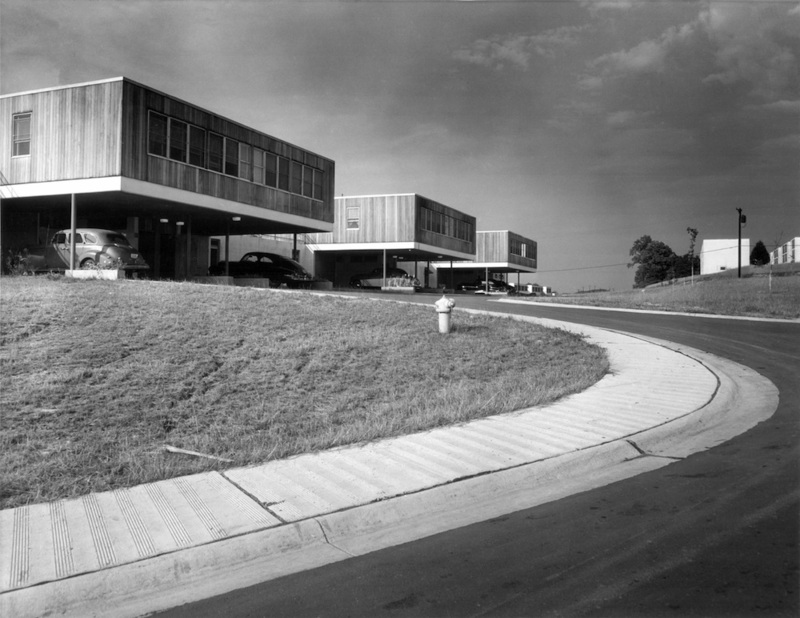 To realize their vision, the Army Corps turned to architects like those at Skidmore, Owings & Merrill, who provided the master plan for the community at Oak Ridge, which would grow to encompass 10 schools, a hospital, 17 restaurants, and 300 miles of road. To make it all possible, a team from SOM, led by led by John Ogden Merrill himself, set up shop in the town. The Tennessee office would grow to include some 300 architects, making it among the largest firms in the country at the time. Not only would the town prove a testing ground in which Bauhaus and other early modernist principles were utilized to create the type of planned suburb development that would dominate the following decades, it was also an opportunity for SOM's designers and engineers to experiment with new techniques and technologies, using prefab and modular construction methods combined with cemesto panels (names for their a mix of concrete and asbestos). At the time, the work was strictly confidential—not even the residents of the secret cities knew what they were working on. Only now, with the distance of time, is it possible to examine the legacy of these instant cities that sprung from the atomic race. Detroit is full of surprises. From the Mies-designed Lafayette Park to the currently disassembled Heidelberg Project, small enclaves throughout the city challenge the perceived image of a city that has lost 60 percent of its population in the last 50 years. Tapping into this potential of small community spaces, Edwin Chan and his Los Angeles–based design practice EC3 have recently completed True North Detroit, a half-acre live-work community. 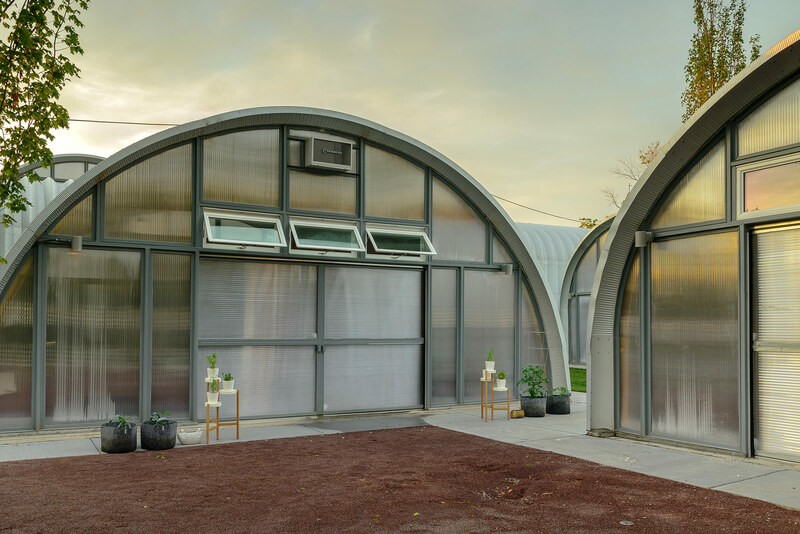 Specifically designed to cater to Detroit’s growing creative population, True North comprises nine lightweight prefabricated Quonset huts in the Core City neighborhood about two and a half miles northwest of the downtown. Core City has not seen any significant construction in over 60 years, and the area surrounding the project mostly consists of vacant lots. 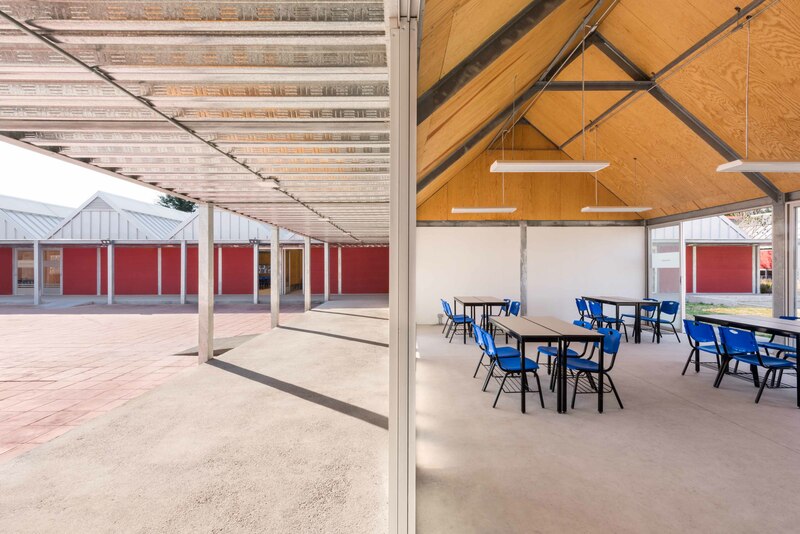 The small complex of vaulted buildings is arranged in such a way as to provide access from the street and produce open outdoor communal spaces. Security, views, and privacy were also considered in the strategic orientation of each structure. The shape of the Quonset huts was also modified from the typical semicircular section to better serve the targeted residents. Elongated and heightened wall space was produced for hanging art for production and exhibition. Kitchens, bathrooms, and utilities were moved into a center “island” and built out of a durable polycarbonate. 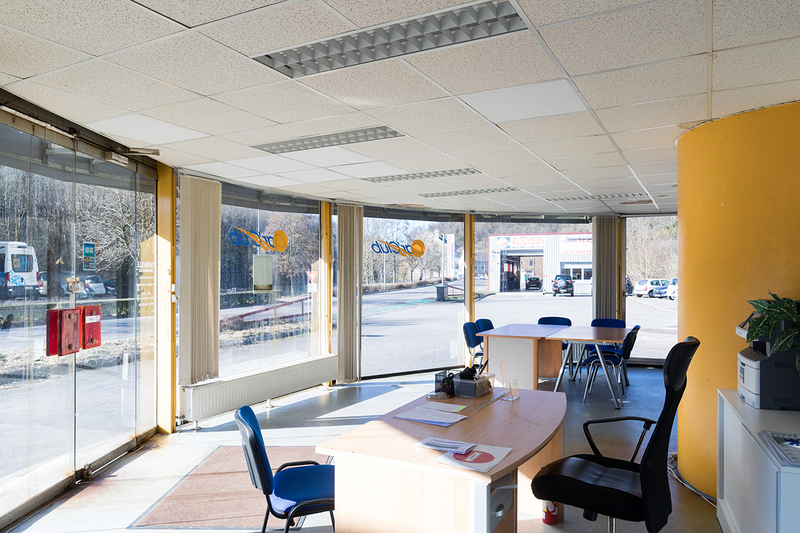 Translucent and transparent polycarbonate was also used throughout to provide generous light and extra security. Radiant concrete floors, finished plywood, and other inexpensive materials and construction methods help keep the spaces affordable. The apartments range from 475 to 1,600 square feet, all with a lofted space above the kitchen area that can be used as a bedroom or additional workspace. Even before its completion early this summer, True North received an honorable mention in the 64th annual P/A Awards in the community category. Far from the massive developments happening in the city’s downtown, projects like True North attempt to add to the city in more elegant way. As such, True North is the first of an iterative plan designed by EC3 to build on another seven acres in the neighborhood. It would seem that it is unavoidable that Detroit is going to be a testing ground for architectural and urban innovation. Projects like True North will hopefully prove that this can be a positive, and truly progressive, experience for the city. 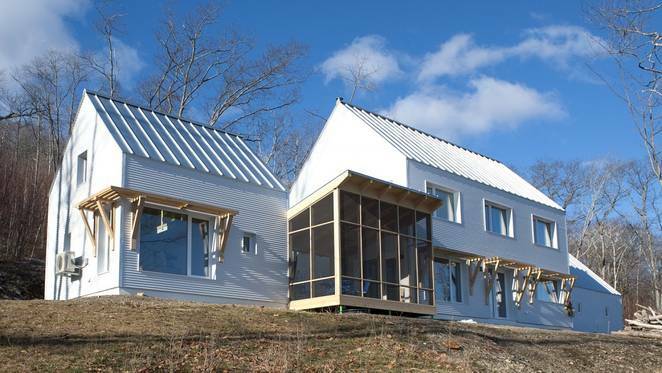 EcoCor, a construction firm from Maine, hopes to bring PassivHaus-quality dwellings to the U.S. Originating in Germany, PassivHaus standards mandate super energy-efficient homes that use little heating or cooling. EcoCor has their eyes set on integrating PassivHaus's quality controls with prefabricated housing. To do so, they are importing specialized tongue-and-groove panel technology from Sweden and working with Pennsylvanian architect Richard Pedranti, who himself has worked on numerous PassivHaus projects in the U.S. https://youtu.be/MvRvvkXcfaQ As reported by Treehugger, EcoCor strays away from entire modular prefab units, instead producing panels, thus saving space and transportation costs. Panels, floors, and walls are assembled in-situ, allowing for more floor plans than would usually be available. Services and finishes such as plumbing and electrical fittings are installed after the panels go up. "The wall has everything; a big space for electrical wiring on site, piles of cellulose insulation, MENTO moisture control membrane, and then a substantial rain screen space," said architect and green design specialist Lloyd Alter. "At the end of each panel there is a special layer of cellulose that squeezes together to the next panel, making the seal very tight." The dwellings sit on raft foundations—where concrete is poured over a raft of rigid insulation—which stops heat loss through the ground. As Alter said, "If it works in Maine, it will work anywhere." A high-performance building prototype which shares energy with a natural-gas-powered hybrid electric vehicle. A cross-disciplinary team at Oak Ridge National Laboratory (ORNL) have designed an innovative single-room building module to demonstrate new manufacturing and building technology pathways. 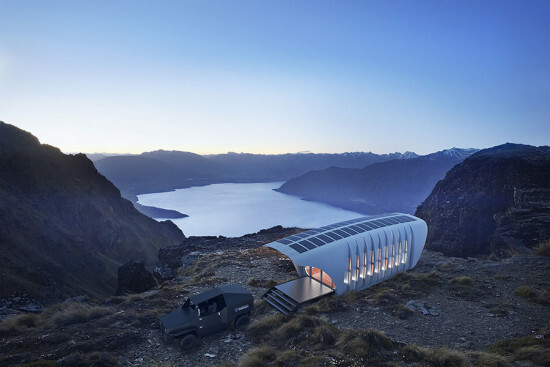 The research project, named Additive Manufacturing Integrated Energy (AMIE), leverages rapid innovation through additive manufacturing, commonly known as ‘3d printing,’ to connect a natural-gas-powered hybrid electric vehicle to a high-performance building designed to produce, consume, and store renewable energy. The vehicle and building were developed concurrently as part of the AMIE project. The goal of AMIE was twofold according to Dr. Roderick Jackson, Group Leader of Building Envelope Systems Research and Project Lead for the AMIE project at ORNL: “First, how do we integrate two separate strains of energy: buildings and vehicles; and secondly, how do we use additive manufacturing as a way to create a framework for rapid innovation while not becoming constrained by the resources of today?” Additive manufacturing contributed to formal expression of the building envelope structure and offered efficiencies in material usage while significantly reducing construction waste. Jackson says the design and manufacturing process became embedded into the ‘rapid innovation’ spirit of the project. “The architects at SOM worked hand in hand with the manufacturing process, sharing the building model with the 3d printers in the same way that the vehicle shares power with building. For example, within the course of less than a week, between the manufacturer, the material supplier, the 3d printers, and the architects, we were able to work together to reduce the print time by more than 40%.” In total, the AMIE project – from research, through design, manufacturing, and assembly – took 9 months.